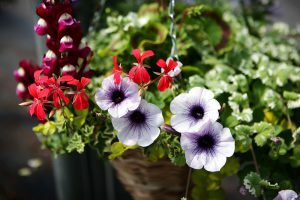 Learn how to make your own unique hanging basket with the guidance of Richard Simkin. We will provide you with plants, moss, a 16inch basket and tuition from Richard on how he makes his beautiful hanging baskets. You will have the opportunity to watch how he creates his bespoke baskets before making your own to proudly take home and hang wherever you wish!